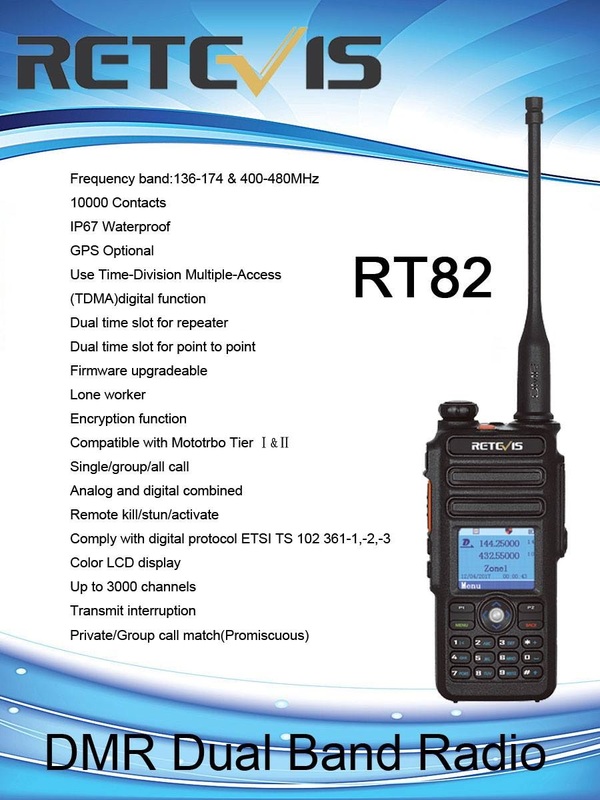 "RT82 is coming, DMR dual band, similar with MD2017, We R&D with TYT and another company. Software and functions are Programming based on RT3. RT82 can be used for business(like hotel,KTV, big mall, construction site,Logistics,school...), outdoor sports(like hiking,climbing,camping,CS,surfing...), and hams. Ailunce is a brand mainly for R&D hams products. HD1 is the first radio we R&D by ourselves,collecting advice and tips from hams. RT82 has a wider use range. HD1 mainly for hams. You can choose according to your needs.Your satisfaction is our goal. Thanks for your support to Retevis."